Only recently the bandname Birth of Joy was mentioned on this blog in my review of the new The Silverfaces EP (read on here: http://wonomagazine.blogspot.nl/2018/02/the-silverfaces-silverfaces.html?m=0). The reason being the use of the Hammond organ in such a prominent way. 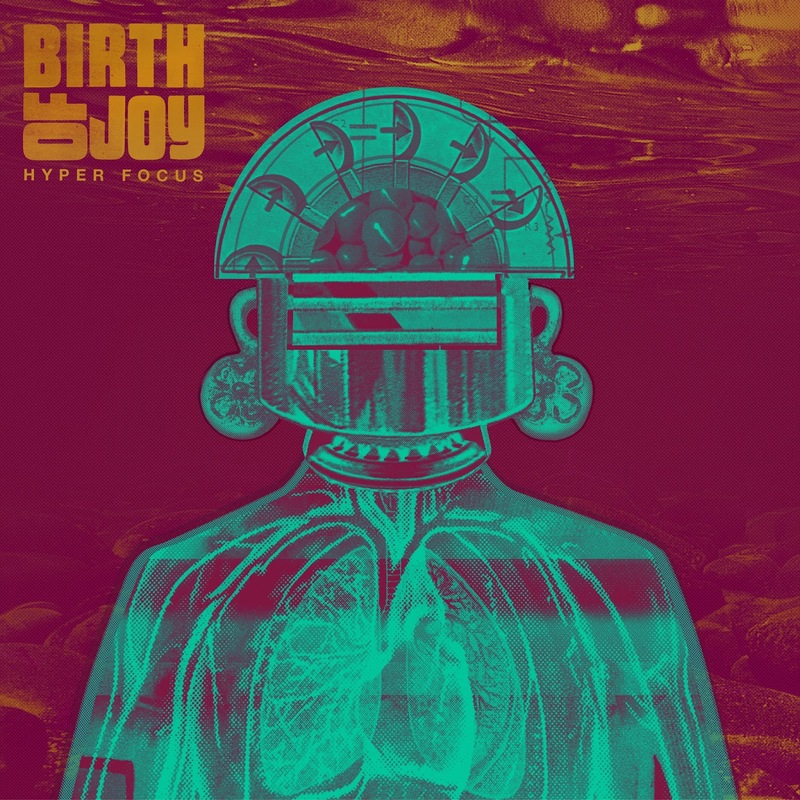 In the past I have been exposed to Birth of Joy but never so intensively as with its new album Hyper Focus. The title is pointing to all the (fake) news that is bombarding modern citizens. I took it as a hattipping to Dutch progrockers Focus. A band that was also able to rock out in this way. Of course Birth of Joy goes way beyond this. Hyper Focus draws me back into, the faintest of memories of, an album like 'Uriah Heep Live'. Where rock meets psychedelia. This album holds it all. Progrock chord changes, full on (classic) rock, psychedelic jams. Birth of Joy holds back nothing and goes full out. The band is another example of the success of the rock academies in this country. 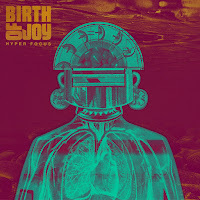 The trio, Kevin Stunnenberg (voice/guitar), Bob Hogenelst (drums), Gertjan Gutman (organ), started there in 2008 and released 6 albums, including two live sets, since then, making Hyper Focus its 5th studio album. In the past decade they have toured Europe and beyond relentlessly. On Hyper Focus the band rocks and shows a level of proficiency in its playing that makes me think of Zappian breaks while not changing the pace of the song. Where bands like Deep Purple come to mind immediately, think songs like 'Fireball' or 'Space Truckin'', Birth of Joy remains more down to earth. Stunnenberg is no Ian Gillan, that explains part of it. The other part is that it provides the band with an own sound. Something that is well worked out on Hyper Focus. There are two sorts of songs on Hyper Focus. The ones like 'Riff Raff' do not get to me. They are too monotonous, more riff than raff. In other songs the melody comes out more and makes Hyper Focus instantly pleasurable. Just like the attempt at subtlety in 'Forenoon' is quite satisfying. The twists within songs can change into improvisations that frankly could go anywhere before the band returns to the core. I simply like some more variation in songs than 'Riff Raff' provides. To wrap it all up. If you like your organ to really, really rock out this is your album. Birth of Joy may follow in the footsteps carved out by a band like DeWolff, it fills them with pride and zest.